The Nurit 8020 wireless terminal is a popular device. Mobile Solutions...Perfect for Businesses On The Go! Wireless credit card processing gives you the same access to credit card authorization networks as a brick-and-mortar retail business, plus the mobility to pursue sales wherever they may be. Accept credit and debit cards wherever you do business! Contractors, such as electricians, plumbers, etc. 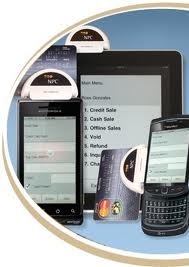 We offer multiple wireless payment processing solutions that are easy to use, affordable and allow you to accept payments virtually anywhere at anytime. Swiping credit cards through a terminal qualifies you for lower processing rates, which can mean potential savings each month for your business. Simply swipe the customer's card to begin the transaction. The wireless device will transmit the card data, receive an authorization, and then print out a receipt for the customer to sign. Plus, all of our wireless terminals are so compact. lightweight and portable that you can carry them in your pocket! Another popular option is our mobile card reader which turns your smart phone, iPad or iPod Touch into a wireless, paperless credit card terminal. 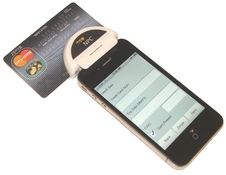 The mobile card reader encrypts cardholder data ensuring the security of all transactions. Swipe the customer's credit or debit card, receive an authorization and capture your customer's signature right on your phone or iDevice! Then, for added convenience, email a receipt right to your customer's inbox! 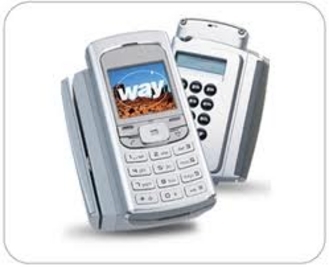 The Mobilescape 5000 is one of the most versatile wireless terminals available. 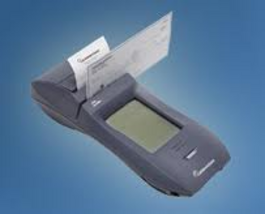 It can be used for credit and debit card transactions as well as electronic check processing. Swipe your customer's check and convert it to an electronic transaction. Funds will be deposited directly into your business bank account, just like your credit card deposits. This is a great option for merchants who sell at venues such as conventions or trade shows. No need to wait until you're back in town to deposit checks in your local bank...with the Mobilescape 5000 electronic check conversion option the funds from your check sales will likely be in your account before you get home!